Armed Somali herders have invaded farms in Sosoma and Ukasi, Mwingi East subcounty, and threatened to kill whoever dares to resist. Their camels have been grazing on crops for two weeks, as they walk around armed with guns. 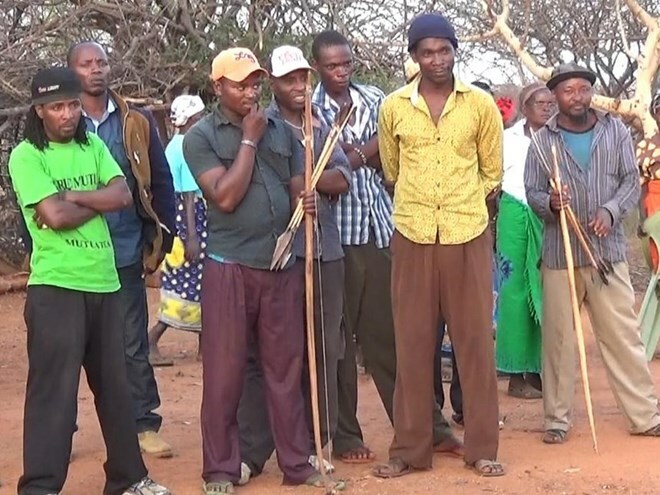 They moved to the villages after they were driven out of Mutha and Zombe in Kitui South. Sosoma and Ukasi residents live in fear and want swift action taken by security agencies to protect them and stop destruction of property. Mwingi Central MP Gideon Mulyungi yesterday told police reservists to scare away the pastoralists and urged the the Interior ministry to come up with lasting solutions. This is how unlawlessness starts and soon there could be reports of killings, he said. Kakiro said they will not sit back and watch animals feed on their crops. He said native livestock owners also suffer, as the Somalis drive their animals away from their fields so they don’t graze.